For an amazing non-toxic parenthood experience! Life with twins can be amazing, but having two babies to care for is definitely a struggle on some days. Although I don’t have twins myself, one of my best friends does, and she tells me most of her stressful moments involve getting her daughters into the car and back out again. Add that to getting them settled into a stroller and it’s chaos. 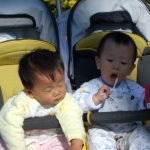 That’s why I encouraged her to make the switch to a stroller car seat combo. I only use products that are non-toxic for my family, so it was important to me that any stroller and car seat combo I found for her was non-toxic. She’s so glad she made the switch, and I’ve ranked the best options for each price range here, so you can find the best one for your family, too. The best stroller at this price level is hands down the Baby Jogger 2016 City Select with 2nd Seat. It’s lightweight and features a one-step folding process to make life easier for parents. 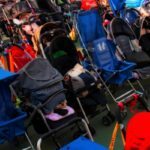 The stroller allows different configurations of the seats, and accommodates different car seats, so you can rearrange to fit your family’s needs. You can use it as a single seat stroller, or use the added seat, so it’s perfect for families with varying needs for transportation. 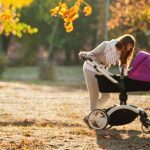 The BOB 2016 Revolution FLEX Duallie Stroller is a great stroller for families who like to be active and enjoy the outdoors. Its high frame and great suspension make it perfect for travel in grass and on trails, as well as on sidewalks and streets. 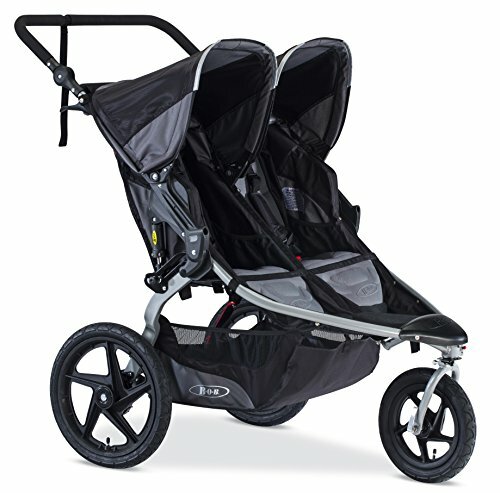 Designed for parents who want to bring their children along while jogging or running, this stroller is great for active families. 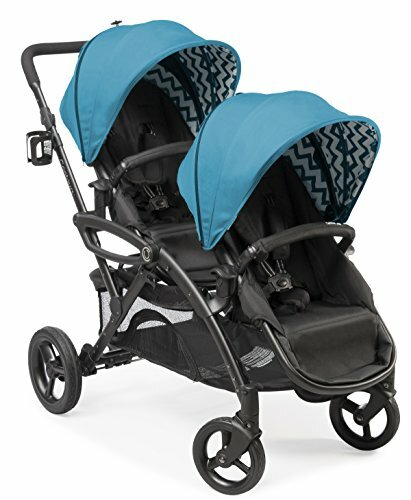 The Contours Options Elite Tandem Stroller offers a smooth ride in style. Its contoured handle and “sandal friendly” brake make it easy on parents, and the quick disconnect wheels make it easily compact for travel. It totally has parents in mind, with its locking cup holders and lift-assist seat dismount. The stylish frame holds some great features, and for an affordable price. 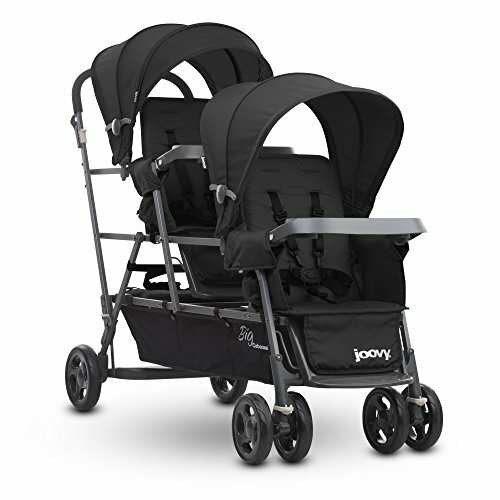 The Joovy Big Caboose Graphite Stand-On Triple Stroller is amazing for growing families. With room for two babies and an older toddler, this stroller accommodates the entire family. All-wheel suspension creates a smooth ride for everyone, and the stroller is easily converted to add a third full seat for growing families. This stroller is well worth the money for all of its benefits. 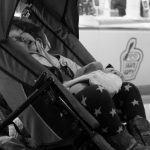 Parenthood.Guide has been created to share my thoughts with you on the wonderful experience of being a parent. It is the place where I bring you honest product reviews and parenting tips to help you make better buying choices as a parent. 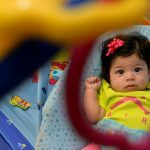 Want to know which products to buy for your little one, from the gamut of options out there, without having to spend hours researching online? Concerned if the products you're after are natural, non-toxic and safe for your child? Parenthood.Guide is a participant in the Amazon Services LLC Associates Program, an affiliate advertising program designed to provide a means for sites to earn advertising fees by advertising and linking to amazon.com. The information contained on this website is for entertainment purposes only and should not be used in place of advice from a medical professional.